The young jazz duo Ferner/Juliusson was awarded the title Young Jazz Musicians of the Year 2010 in the finals of Jazzintro competition summer 2010. As winners of the prestigious and extensive launch programme Jazzintro, the duo will be promoted and play before audiences and on jazz scenes in Norway and abroad the two following years. Ferner/Juliusson was established spring 2008 by guitarist Per Arne Ferner from Oslo, Norway, and pianist Per Gunnar Juliusson from Linköping in Sweden. The duo’s music draws upon different musical directions, styles and ideals. They seek a broad appeal with a melodious, personal and open expression, and they like working in the tension field between structure and freedom, both improvisation wise and compositorically. Their scope of references stretches from folk music and 20th century classical music to improvised jazz. But first and foremost, their aesthetic references give associations to a series of ECM-albums, with a lyrical expression and a distinct, Nordic sound. 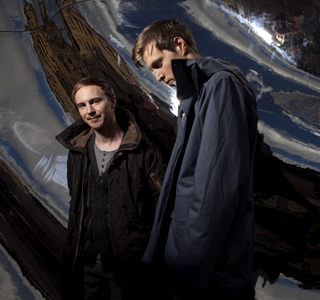 The duo improvises over complex compositions, and mix the blues orientated with Europan art music. The Jazzintro jury gave the duo an extra point for their intriguing and humouristic titles, such as ”Thank you, dark matter, for keeping us together”, ”This I pointed to; to a disappointed you”, and ”Travelogue for the atoms”. Members of the Jazzintro jury 2010 were renowned jazz vocalist Karin Krog, saxophone players Frøy Aagre and John Pål Inderberg, pianist Helge Lien, and head of jury, Tore Flesjø, from Norwegian Jazz Forum. – Has been more or less devoted to the guitar since the age of 12. Has explored different genres and areas of music through the years, and ended up after visiting the fields of blues, rock and progressive metal tuned in on classical music and jazz/improvisation. He then realised how important creativity and the expression of his human experiences were to him, and music went from being a hobby to the most important part of his life. – Member of jazz band Flux, who released the album Peninsulator in 2010; a recording with echoes of progressive rock, classical chamber music and post-modern jazz influences ranging from Pat Metheny to Jaga Jazzist. Ferner is responsible for all the compositions on Peninsulator. 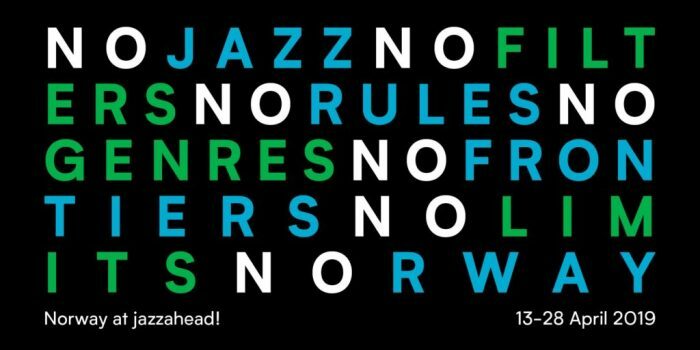 Norwegian Jazz Forum, Concerts Norway and five of Norway’s greatest jazz festivals collaborate in realizing the project Jazzintro; a launch programme for young, professional performers of jazz. A jury of professionals select eight participating bands among the applicants, who have submitted applications and demo material. Each band has given one concert at one of four festivals that take part in the project (Vossa Jazz, Maijazz, Nattjazz, Kongsberg Jazz Festival). At each of these four festivals, the jury select one band to access the next step – the finals at Molde International Jazz Festival. After the final, one of the bands wins the title Young Jazz Musicians of the Year. Previous winners of Jazzintro are Urban Connection (1998), ra (2000), Solid! (2002), in the country (2004), Puma (2006) and Albatrosh (2008).